The last time 1904 FC was in the public eye was January 31st. 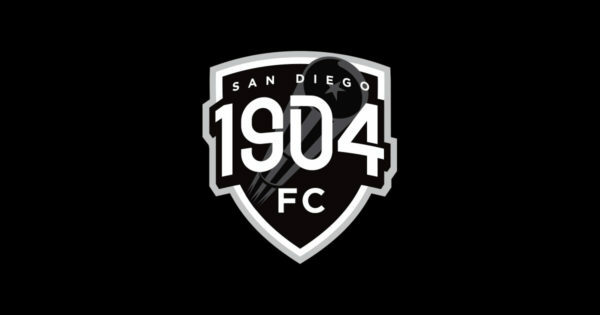 The last time 1904 FC made a public move directly related to the team was in 2017. With the future of the North American Soccer League (NASL) still in limbo, the club’s silence does nothing to reassure nervous fans. 1904 FC set up their first “pop-up store” at the friendly match between Club Tijuana and Toronto FC at the University of San Diego’s Torero Stadium on the last day of January. The match was the 1904 FC’s first (and currently only) public event in 2018. In fact, it was the club’s first event open to the general public in over two months. In December, the club invited fans to watch a closed tryout, which remains the only roster-related action that 1904 FC has made public. Since that tryout, no news has come regarding any roster additions made from the tryout. The club has also not announced any more tryouts, closed or open. By comparison, Jacksonville Armada FC hosted open tryouts last Friday. At this point, 1904 FC is more of a brand than it is a football club. Despite the NASL moving to the “international calendar” and pushing the start date of the 2018 season back until August, uncertainty still surrounds 1904 FC’s level of preparedness. Six months from the club’s inaugural season kicking off, the club’s roster has zero players on it, and the club is without a head coach. Compounding the problem, the international transfer window is closed until June, meaning that 1904 FC is unable to sign players from other clubs. Six months is certainly enough time to put a squad together, but a marquee player would increase fans’ confidences. For comparison, Major League Soccer’s (MLS) newest expansion team Los Angeles FC signed their marquee player back in August, a full seven months before their first competitive game. After adding former Arsenal and Real Sociedad forward Carlos Vela, LAFC added a second marquee player in December with the signing of Uruguayan forward Diego Rossi. Finally, LAFC announced former United States National Team and Swansea City manager Bob Bradley as their head coach in January. Considering LAFC as an example, 1904 FC fans should be expecting a marquee signing any day now. However, if this comparison does anything, it should calm some nerves, and demonstrate that 1904 FC would be capable of assembling a squad when the international transfer window opens in June. There is the slight possibility that whether 1904 FC has a squad or not will not matter, as the NASL may not exist by August. The league is currently engaged in two separate legal actions against the United States Soccer Federation (USSF). The NASL is still in the process of appealing the USSF decision to revoke the league’s second-division status, which it had held since its creation in 2011. On February 6th, the NASL announced a suit against members of the USSF for breach of fiduciary duty. Defendants named in the suit include former USSF President Sunil Gulati and former Vice President and new President-elect Carlos Cordeiro, as well as MLS commissioner Don Garber. On their website, the NASL explains that the suit “alleges that Defendants – motivated by conflicts of interest and economic considerations which infect the operation of the Board – breached their fiduciary duties to the NASL.” “Most notably,” the complaint continues, “Defendants arbitrarily refused to sanction the NASL as a Division II league for the 2018 season to protect controlling Board members’ self-interested positions in Major League Soccer (MLS) and its for-profit marketing conglomerate, Soccer United Marketing LLC (SUM).” The suit goes on to claim that “Defendants have enriched MLS while wasting USSF assets and freezing out MLS competitors, like the NASL. In particular, Gulati and Garber have dominated Board operations to advance MLS interests while enhancing their own clout and influence. As [Carlos] Cordeiro recently admitted, ‘[t]he unique ownership of SUM creates conflicts that need to be addressed.’” As long as the lawsuits continue, the future of the NASL remains under threat. Since the revocation of the NASL’s second-division status, four teams have left the league – two shutting down entirely, and another two moving to the United Soccer League (USL). Unfortunately for Demba Ba and the rest of the 1904 FC ownership group, they created a club amid rough times for the league they joined. Because of that, most of the uncertainty surrounding 1904 FC’s future is the uncertainty surrounding the NASL’s future. The next six months will feel long for 1904 FC fans, as they await any news from either the club or the league. At this point, any news would be good news. Eric, 19, University of San Diego. A soccer player and fan my whole life, I now have the distinct privilege of covering 1904 FC for the East Village Times.